David B. Hochman specializes in working with "entrepreneurial" clients. His typical clients are real estate developers, contractors, and business owners, all of whom require significant transactional work in financing, buying and selling assets and companies, operating their entities, creating and terminating business relationships, and litigation associated with the operation of these businesses. His entrepreneurial spirit and substantial legal background enable him to provide clients with extra insight into their business operations. 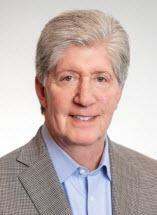 He is a founding member of Dinn, Hochman & Potter, and has held the position of managing partner since 1987.